Across the street from Greater Grace Temple, where Aretha Franklin's funeral service was being held, Babcock Cooperative Apartments joins the community in celebrating her life and legacy. Mary Kay Consultants who are owners of pink Cadillac's, came from all over the country to pay their last respects to Aretha Franklin. Several cars were parked on Seven Mile, outside the funeral service at Greater Grace Temple. Outside of Greater Grace Temple, a mother and her two daughters pose against an iconic pink Cadillac where Aretha Franklin's funeral service was being held. Outside of Greater Grace Temple, a mother and her two daughters take pictures with iconic pink Cadillac where Aretha Franklin's funeral service was being held. 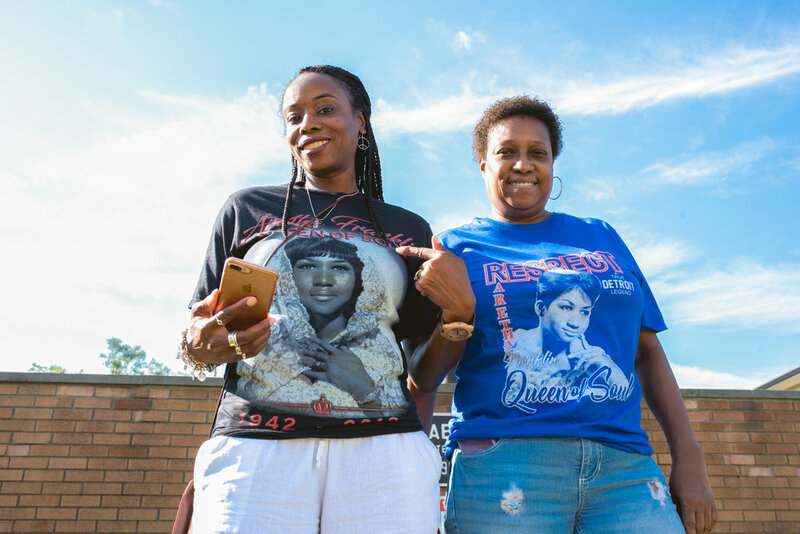 An Aretha Franklin fan wears customized earrings honoring the Queen of Soul. Across the street from Greater Grace Temple, fans proudly pose with their Aretha tribute T-Shirts during Aretha Franklin's funeral service. 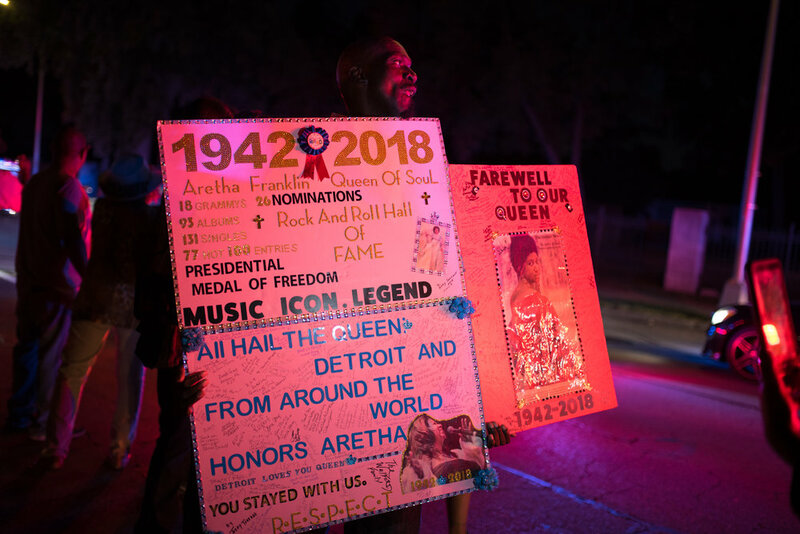 Fans down the street from Aretha Franklin's funeral service hold a copy of The Final Call that was distributed by members of the Nation of Islam. Members of the Nation of Islam present copies of The Final Call featuring Aretha Franklin. First in line, Aretha Franklin fan waited for several hours to attend the funeral service at Greater Grace Temple. For those who weren’t on the guest list, the church allowed a limited amount to gain admittance to this historic occasion. Aretha Franklin impersonator and fan, stood in line to attend the funeral service honoring The Queen of Soul. The funeral service was held at Greater Grace Temple; for those who weren’t on the guest list, the church allowed a limited amount to gain admittance to this historic occasion. Sevin McClure, a native Detroiter and custom jewelry designer, joins the crowd in paying their last respects to Aretha Franklin while her funeral service was being held at Greater Grace Temple. 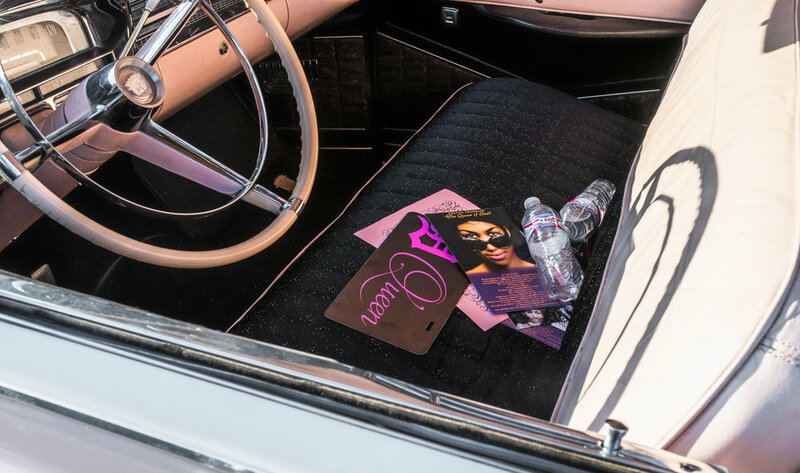 As several people took to the streets to pay their last respect's to the Queen of Soul, a dedicated fan erected a memorial blocks away from her funeral that was being held at Greater Grace Temple. 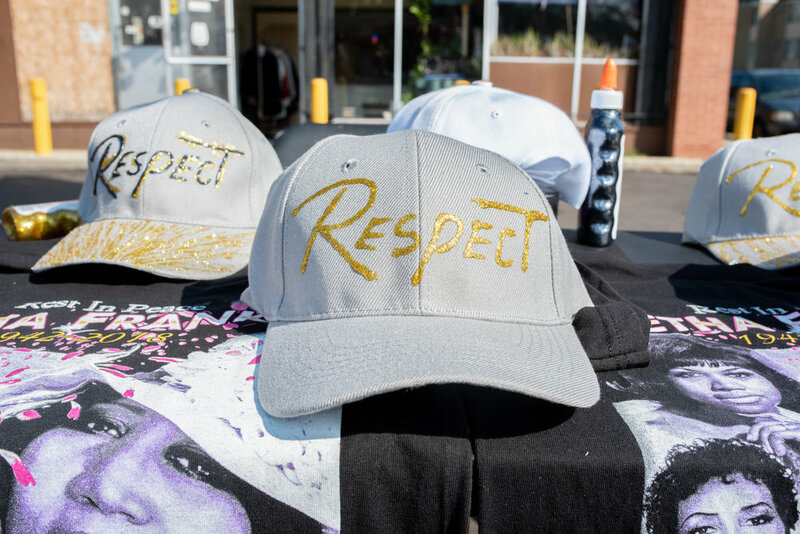 With Aretha Franklin's passing, it brought forth eager enterprenuers ready to sell homemade merchandise at various locations in Detroit. Fans gather on the median strip across the street from Woodlawn Cemetery where Aretha Franklin was going to be laid to rest. As a long day of celebrations and tributes come to a close, fans gather on the median strip across the street from Woodlawn Cemetery where Aretha Franklin was going to be laid to rest.